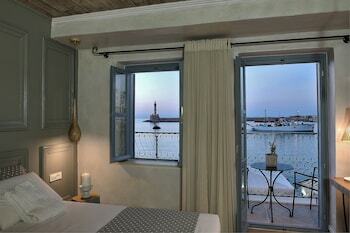 With a stay at Elia Zampeliou Boutique Hotel-Adults Only, you'll be centrally located in Chania, just a 4-minute walk from Chania Lighthouse and 6 minutes by foot from Venetian Port. The front desk is staffed during limited hours. When you stay at this apartment in Alonissos, you'll be on the beach, within a 5-minute drive of Agios Dimitrios Beach and Kalamakia Port. Free self parking is available onsite.